Police from a dozen agencies will use handheld devices to test drivers' saliva for use of several drugs under a pilot program in five Michigan counties. Police from a dozen agencies will use handheld devices to test drivers’ saliva for use of several drugs under a pilot program in five Michigan counties. 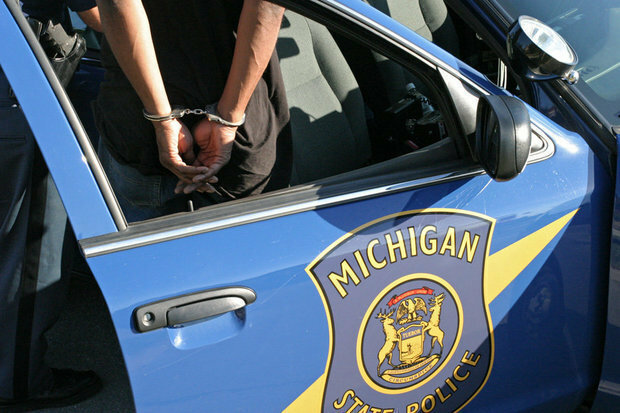 The Michigan State Police announced Thursday, Nov. 2, it will carry out a one-year roadside drug testing pilot program in Berrien, Delta, Kent, St. Clair and Washtenaw counties. It will begin Wednesday, Nov. 8. The Alere DDS2 oral fluid test instrument will be used to measure for the presence of drugs in drivers’ saliva, Michigan State Police spokeswoman Shanon Banner said. The device will record results based on threshold limits set by the manufacturer and test for six substances: amphetamine, benzodiazepines, marijuana/cannabis, cocaine, methamphetamine and opiates. Banner said it should be noted that threshold levels for saliva are different than that of blood. Drug Recognition Experts (DREs), officers with advanced training in the assessment of alcohol and drug impairment, will carry the devices, MSP said. DREs only will administer an oral fluid test under the pilot program, Banner said. The drug test will take place roadside, like alcohol preliminary breath test (PBT). Refusing the oral fluid swab test, a preliminary test, will result in a civil infraction, just like an alcohol PBT, Banner said. The pilot program will begin next week on Nov. 8, MSP said. DREs will continue to take blood draws as part of standard procedure in addition to saliva tests, Banner said. “Drug Recognition Experts will continue to follow the same policies and procedures for investigating a person they believe to be operating a vehicle while impaired on a controlled substance. The only difference in the pilot counties will be if the DRE determines a motorist is impaired on drugs, they will ask the person to submit to an oral fluid test,” Banner said.